If your child is a series winner and you haven’t provided their sweatshirt size, please email joanna@kidstrinc.org by Monday, October 3rd. If we don’t hear from you by that date, we will have to make our best guess on the size to order. That’s a wrap for 2016! Thanks to everyone who came out and raced today in Cary! Thanks We had 192 finishers — our largest race ever! Results are now posted on the Cary race page. If you have photos from the race that you are willing to share, please email them to us (joanna@kidstrinc.org) so we can post to Facebook and the website. Also, series winners please email joanna@kidstrinc.org to provide your sweatshirt size. Stay tuned for 2017 race dates. Be sure to like us on Facebook for more updates. A pre-race email will be going out to all registered participants on Thursday or Friday. This email will contain important information so please read it carefully. If you do not receive this email by Friday night at 6pm, please contact Kids Tri NC. Please note that if you have opted out of Kids Tri emails you will not receive this email. 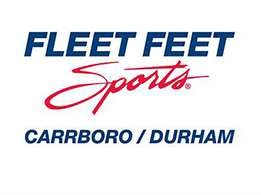 Packet pickup will be Saturday, September 24th from 3pm-6pm at Fleet Feet Durham and at the race site on Sunday, September 25th from 6:30am-7:30am. Less than 2 weeks till race day! Our third and final race in the Tar Heel Youth Triathlon Series is just around the corner! To register, click HERE. Did you know we offer scholarships? If you know someone who would like to race but is unable to afford the entry fee, please contact us. We can help! And don’t forget there will be a clinic and course walk-through the day before the race (Saturday, September 24th from 10am-noon). To register, click HERE. Briar Chapel results are posted! Thanks to everyone who came out and raced, volunteered and cheered on the kids. We had 180 finishers, many great performances and some incredible sportsmanship. Kudos to Kaleb Atkins for giving his medal to our final finisher after we ran out of medals with 4 kids left to finish! If your child did not receive a medal, one will be mailed this week. A link to the results can be found on the Briar Chapel race page. Online registration for the Briar Chapel race has closed. Those who have registered will receive a pre-email with important information either Thursday or Friday. There are 25 spots remaining. If you plan to register, please arrive at packet pickup as close to 3pm as possible on Saturday (at Fleet Feet Durham). There is no race day registration. Cash or check only. Note that the bike course has changed. Construction along Tobacco Farm Road created too many hazards that we felt were unsafe so the course will be primarily on Briar Chapel Parkway. The road will be open to traffic but the course will coned off and police officers will be at all intersections. Volunteers will also be stationed along the course. Don’t miss the GSO Youth Series! 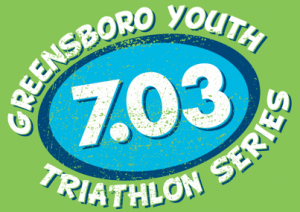 Another great youth triathlon series close to home! First race is this Sunday, June 12th. Go to www.e3endure.com for more info. Lost and found items from Chapel Hill race! Race next weekend too! Thanks to everyone to who came to race, cheer and volunteer today! It was a great day! Please contact us to claim. If you’re looking for a fun family race next weekend, come Run for Blake! It’s a 5K race in Durham on Saturday, May 21st. For more information and registration, click HERE. Pre-Race Clinic and Course Walk Through May 14th! If your child is racing for the first time on May 15th, or just needs a skills refresher, we will offering a pre-race clinic and course walk-through on Saturday May 14th from 10am-noon at Homestead Aquatic Center. 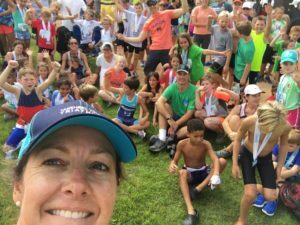 USA Triathlon Certified Youth and Junior Coach Monette Williams will lead the clinic. To register, click HERE.